Meat and dairy advertisements – vegan propaganda? A comment which i have seen alot of online is people saying that vegans are always shoving their message into people’s faces…. that they just want to eat their meat without a vegan telling them that it is wrong. I personally am not someone to shame others for what or how they eat – especially not when they are eating. However saying that vegans are shoving their message into your face is a little hypocritical when you think about how much meat and dairy advertisements there are everywhere. Recently I’ve been seeing more ads for vegan products which i love but it is mostly animal products. When im listening to a podcast there is advertisements for chicken/a chicken company. When i watch YouTube advertisements for McDonald’s and their burgers (non vegan ones!) show up. When I am scrolling through social media i see adds for dairy products and for chicken – despite only following and liking c.a 95% vegan accounts and pictures. Considering that social media collects so much data about it’s users – you would expect it to know when an account is vegan and doesn’t want ads for meat and dairy. 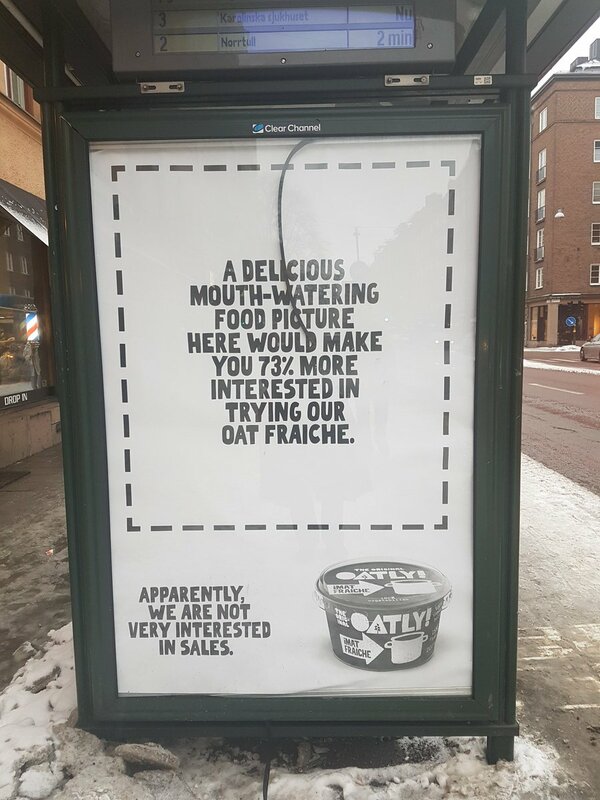 When im walking to the tram there is advertisements for dairy milk and yoghurt. When i look at the extra prices/special offers in the stores it is ALWAYS meat, dairy and eggs. And in some corner there is some vego (not always vegan!) options. Non vegans say they are bombarded with vegan propaganda/messages…. but as a vegan i am on a daily basis shoved meat and dairy advertisements in my face. When shopping the majority of the products are animal products. Also a question to ask yourself is why does it bother you….? To have advertisements for products that haven’t harmed or killed animals, isn’t that a good thing? It opens your eyes to new products. And personally when i see advertisements for milk or dairy products with cows out in the grass being “free” i just feel like its false advertisement because I’m pretty sure the cows aren’t roaming free in a huge green grassed area….. maybe for a few hours in the summer if it is an organic milk farm (?) But it’s definitely not like it’s pictured in the advertisements. I know that the people who need to read this post most likely won’t. But if you know someone who is anti vegan or anti vegan advertisement…. remind them just how much meat and dairy advertisements there are and that the person is most likely numb to them…. doesn’t even notice the advertisements because they don’t see anything wrong with it. If you become conscious of all the meat and dairy ads you see/hear everyday you will realise just how many they are and that vegan advertisements are just a tiny percentage of the daily advertisements you are bombarded with daily. Previous Post Super foods – what are they? Do we need to eat them? Theres hardly any advertising for non meat/non dairy here either, and you never see two-for-one or other special offers on the fruit and veg in shops. Again, its about accommodating the majority, and compared with those who consume meat and dairy, those who do not fall into the minority. It does annoy me though when people complain that a vegan/vegetarian is “forcing” their views onto them when we have to live with the bombardment of comments/advertising daily!